The drive from Mesa Verde through Durango and on southward is beautiful. We are chasing the fall colors. The hills vibrate with brilliant yellows and reds under the cloudless azure skies. 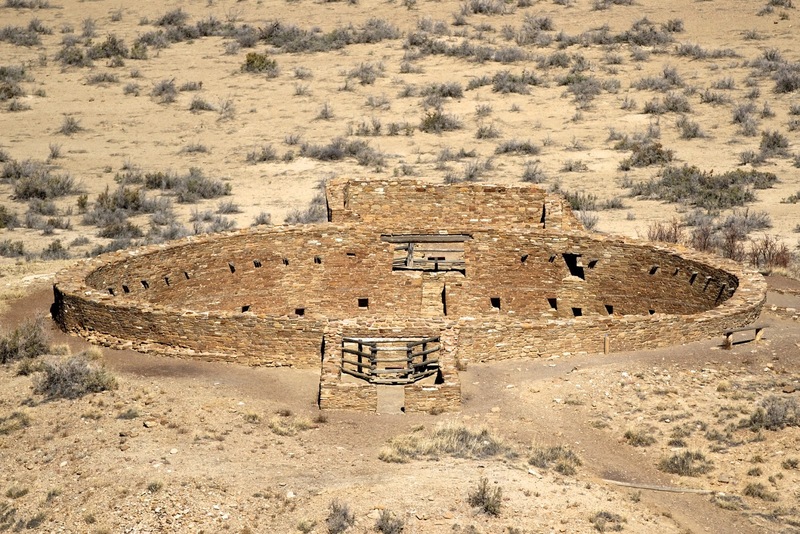 Our destination: The Chaco Canyon National Historic Site. 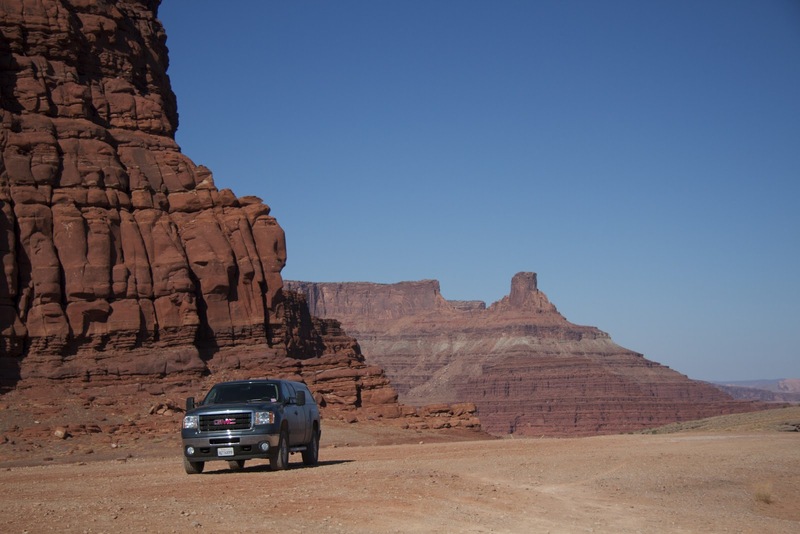 There is no easy way into the park, every route includes travel over rough dirt roads. We call ahead en route to assure that there is room in the first come first serve basis campground. (Dragging and bouncing Dimples through the dirt only to be turned away has zero appeal!) We are assured that there should be space in the campground AND we are warned to drive slow as the road condition is heavy washboard. Armed with this knowledge we turn off the main Highway onto County Road 7900 – its paved and in pretty good condition… and then onto CR 7950… also paved for a few miles and then turns to gravel and then to dirt…really bumpy dirt! Now the key to driving a car or truck on washboard is to go faster than you think and pretty much drive on the tops of the divots… this is NOT the method when towing a trailer… when towing, SLOW as in REALLY, REALLY SLOW… it is the only way to avoid serious damage… Since this is the first time that we are attempting to take Dimples off pavement, I volunteer to sit in the back and see how things hold up. After a few bone shaking miles we stop and assess… The kitchen sink is loose – SO… Slow… as in walking speed is the only way! We finally arrive at Chaco and secure a space at the back end of the campground. 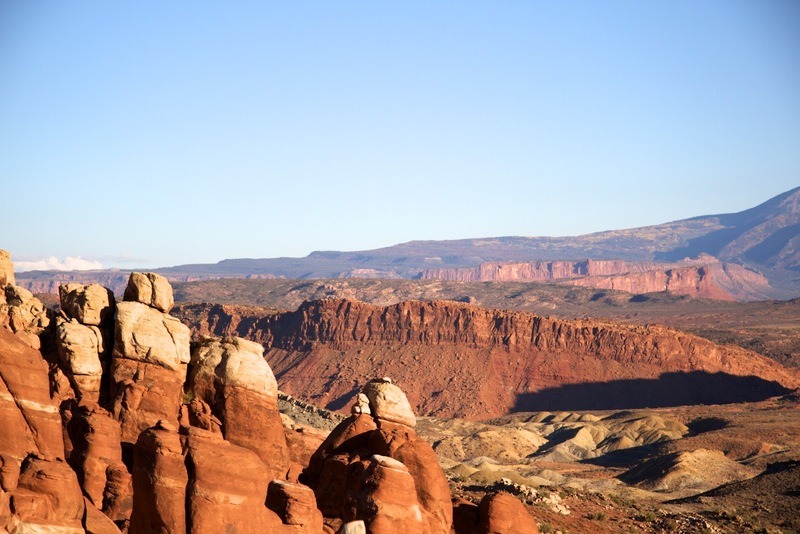 The campground is tucked along cliffs sporting petroglyphs and a few small ruins, there is a spectacular view of Fajada Butte and we are intrigued! This is dry camping but they have a dump station and potable water available. We plan to stay a few days. After setting up, we head to the visitor center to pay our fees, check the schedule of Ranger talks, the weather report and information about backcountry hikes. That evening we start planning. 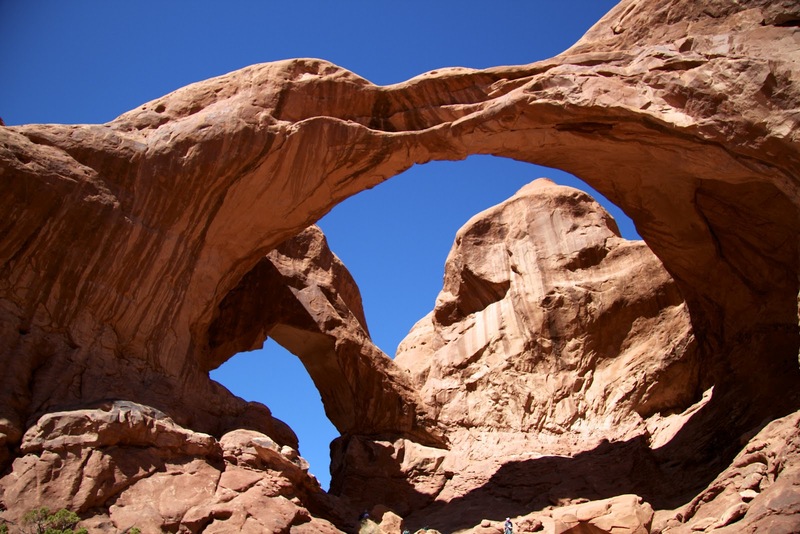 We now know that a few days will not be enough to even start to explore this fascinating place. There are nine sites within the canyon and four backcountry trails. Stopping at the visitor center we extend our stay… we will be here a whole week and still not see it all! 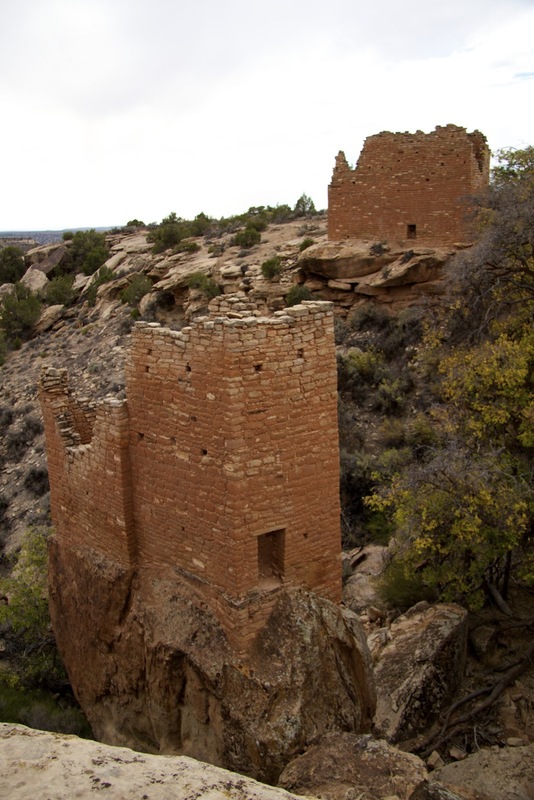 Every day we explore more of the ruins in the canyon and surrounding mesas. 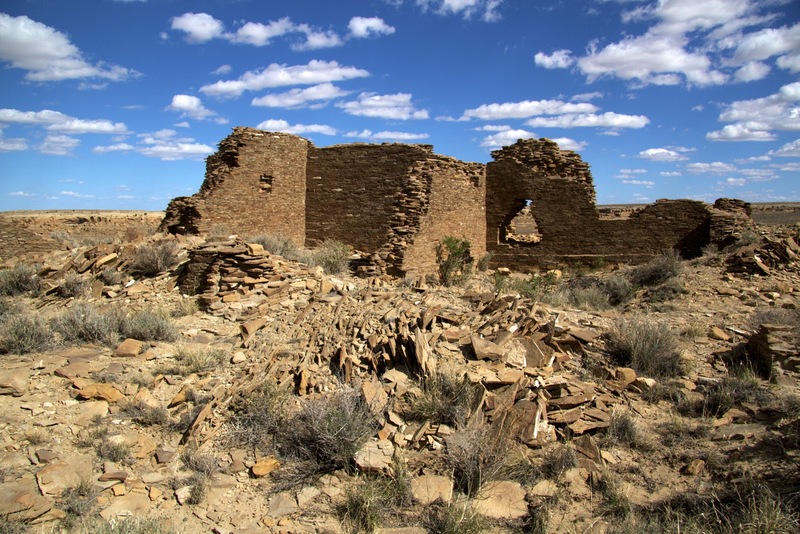 They are crumbling remains of massive stone buildings that soared to as many as five stories, with engineered water collection systems, line of site communication between locations and a massive road system linking them to outlying communities. Most thought provoking is that many are built along celestial alignments. 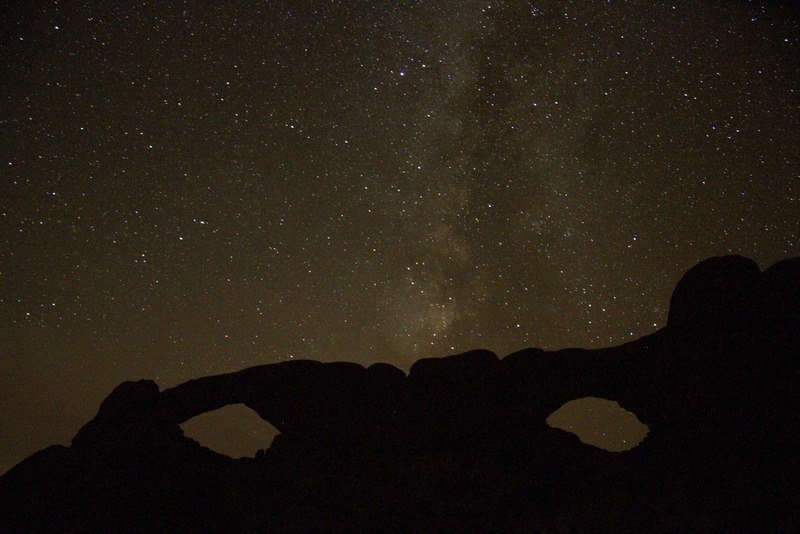 Astronomy is also a huge part of Chaco. 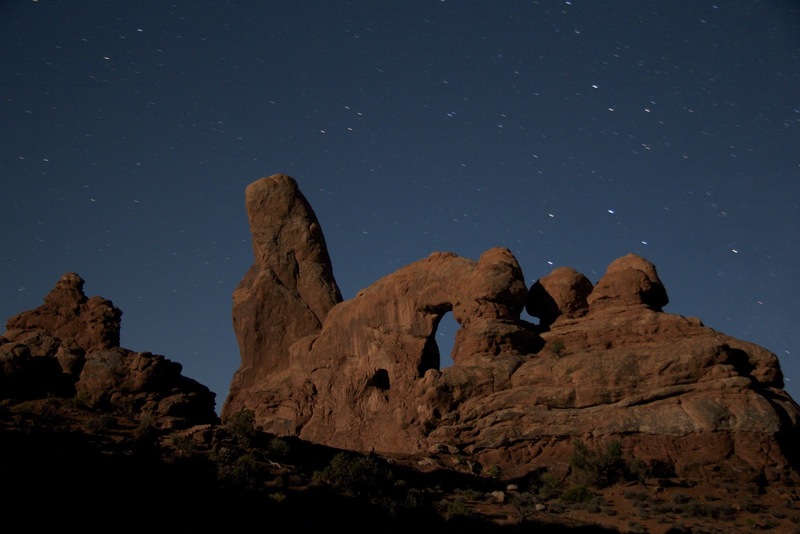 The night skies are dark and well suited for stargazing. 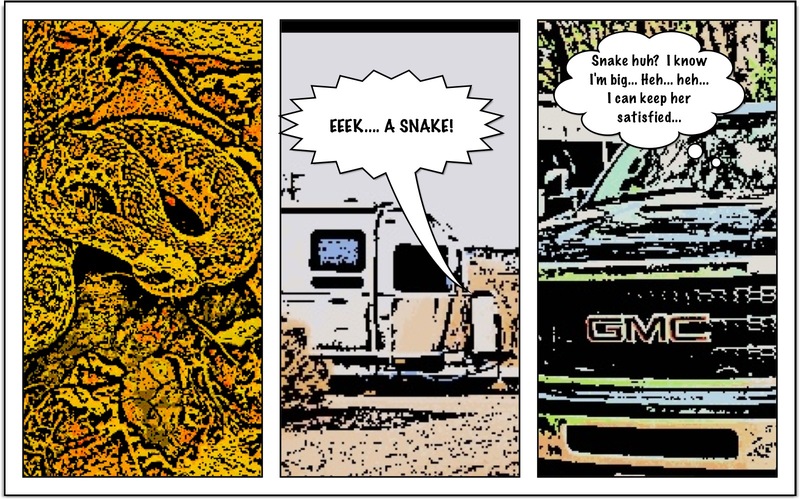 Dale, one of the campground hosts is an amateur astronomer. On Tuesday and Wednesday nights he sets up his large computer controlled telescope and invites all who are interested to take a peek – or two or ten… it’s really cool! We also attend a talk by Ron Sutcliff an archaeoastronomer who explains the celestial alignments in Chaco. 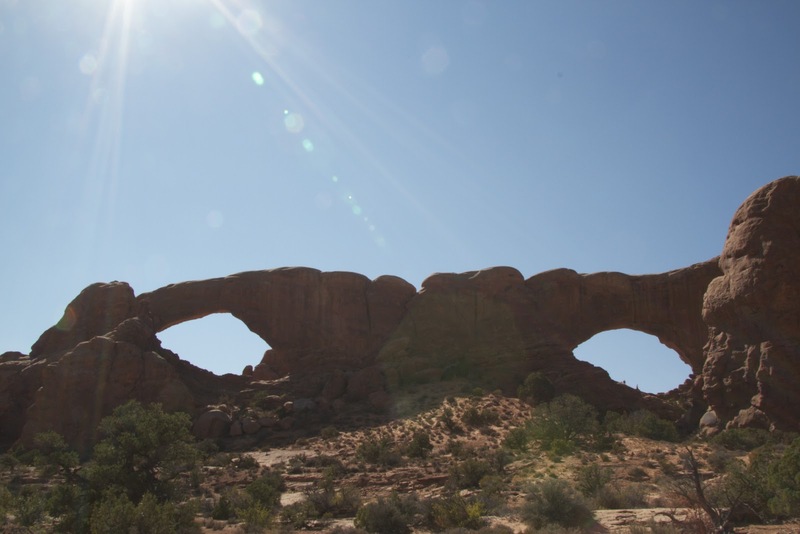 Specifically the Great Kiva at Casa Rinconada that is aligned to both the moon and the sun. His book “Moon Tracks, Lunar Horizon Patterns” now holds the distinction of being one of the very select few non-digital books we own. 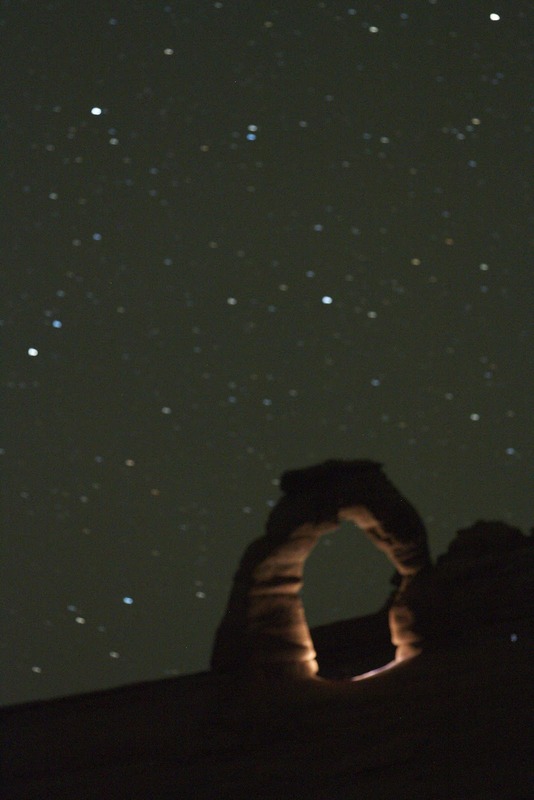 Chaco also has the distinction of being the only national site with it’s own observatory. After Ron’s talk we are treated to views from the observatory telescope and two other large telescopes set up nearby. 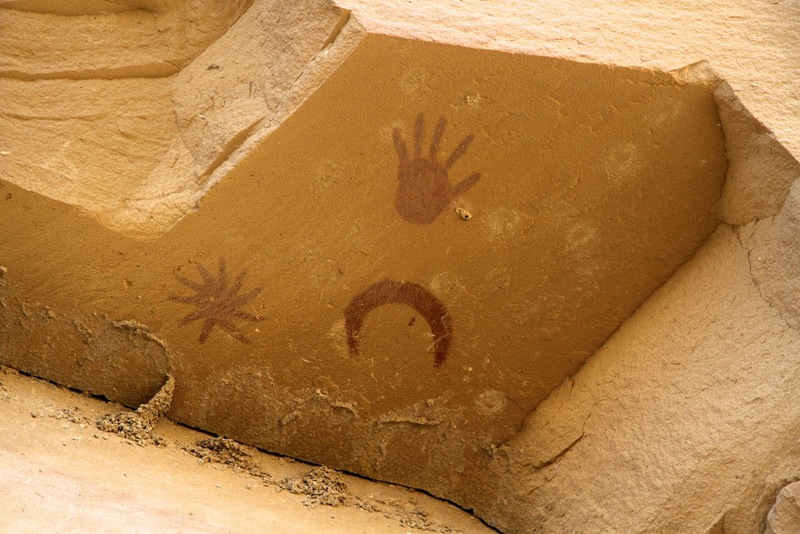 All in all, Chaco is a fascinating and intriguing. 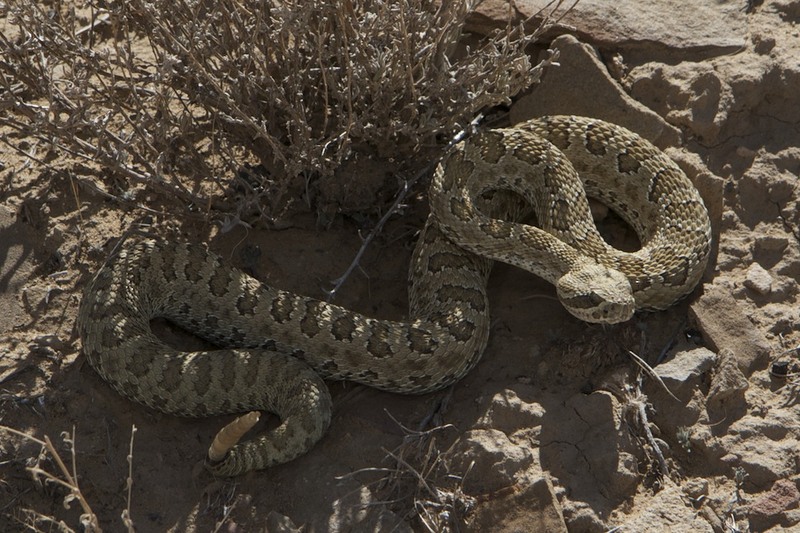 There are as many opinions about Chaco as there are visitors… (Google it and waste a day or two scratching the surface.) Yes everyone has an opinion as to the why and what about Chaco. Our take on Chaco… It is testament to the observational skills of humanity and the ability to translate those observations into the physical. So enough of this dry camping in the desert… we need to brave the washboard road, crawl out of here and seek some citification… Santa Fe sounds pretty good…. Heading south from Moab on Hwy 191 we turn off onto less traveled roads to Hovenweep National Monument. We find a lovely spot at the Hovenweep campground. The spaces dedicated to RV use are wide, level and come with their own sun shaded picnic table and fire ring. This is dry camping at it’s best. 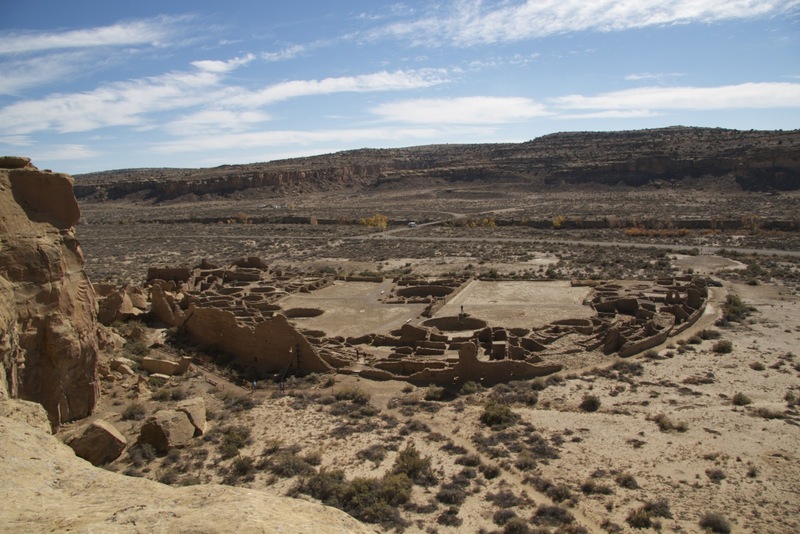 The park is known mainly for six village groups of the Ancient Puebloans, but this area was also inhabited by the hunter and gather Paleo-Indians for around eight thousand years prior to the arrival of the early pueblo people around 200 AD. From 200 to around 900 AD the population of the area grew and finally began to explode around 1,000 AD. 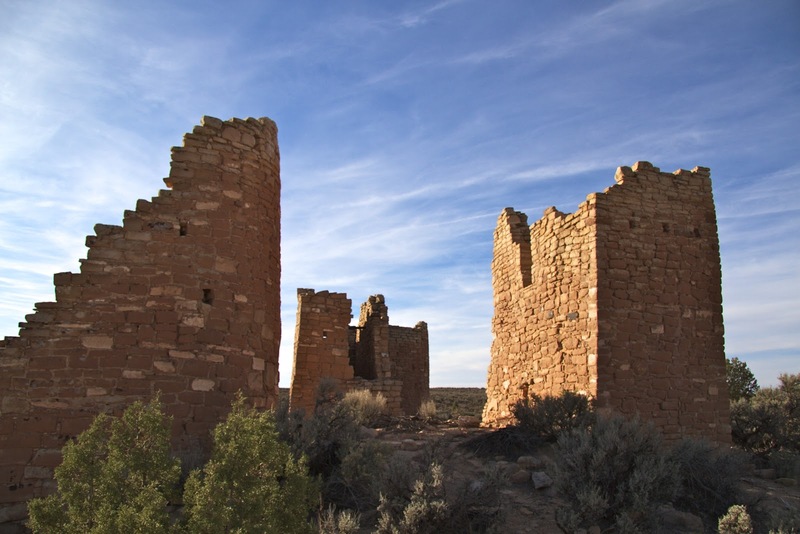 At this time the residents began to move from the mesa tops to the canyon rims and a building boom of check dams, towers and kivas changed the landscape. 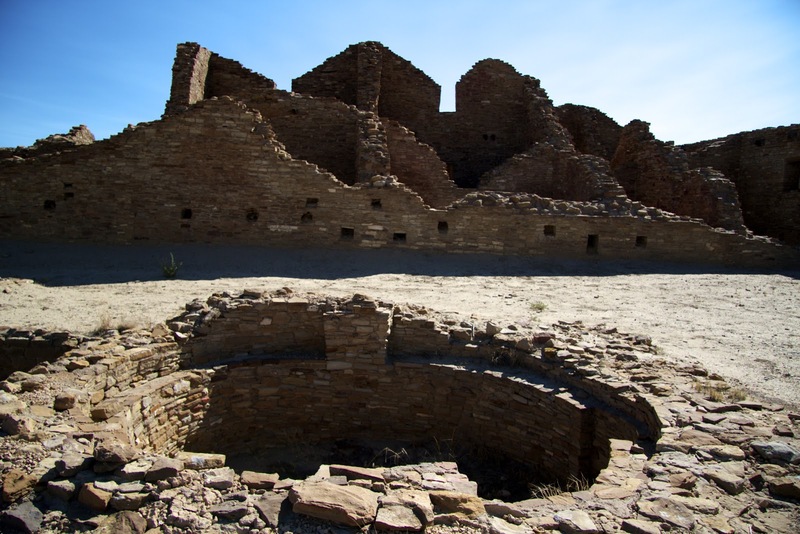 These towers and kivas display a fine level of construction and many appear to be more defensive structures, situated near water resources. All of these structures are astronomically aligned both (solar and lunar) for keeping time and tracking the seasons. 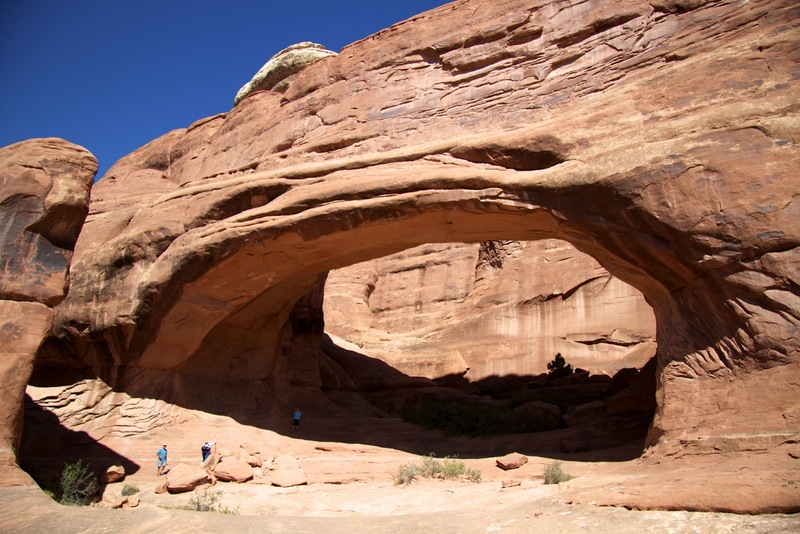 The Little Ruin Canyon is an enjoyable 2-mile round trip hike from the campground. The views along the canyon rim are spectacular. 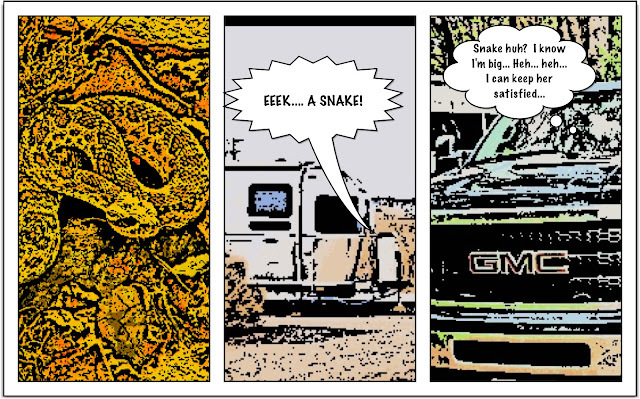 We start off in the late afternoon at the first structure a snake crosses our path hissing and rattling. 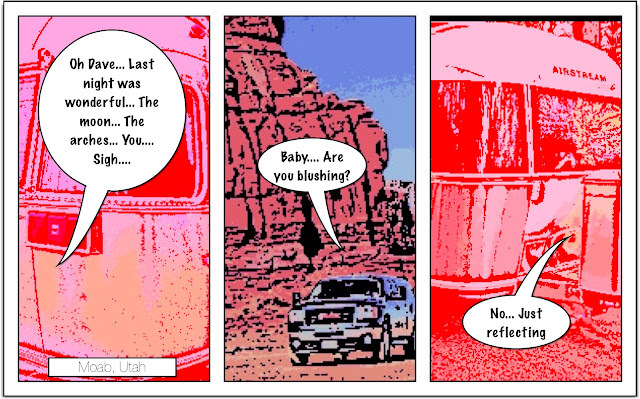 Now that our adrenalin levels are up we continue around the rim. 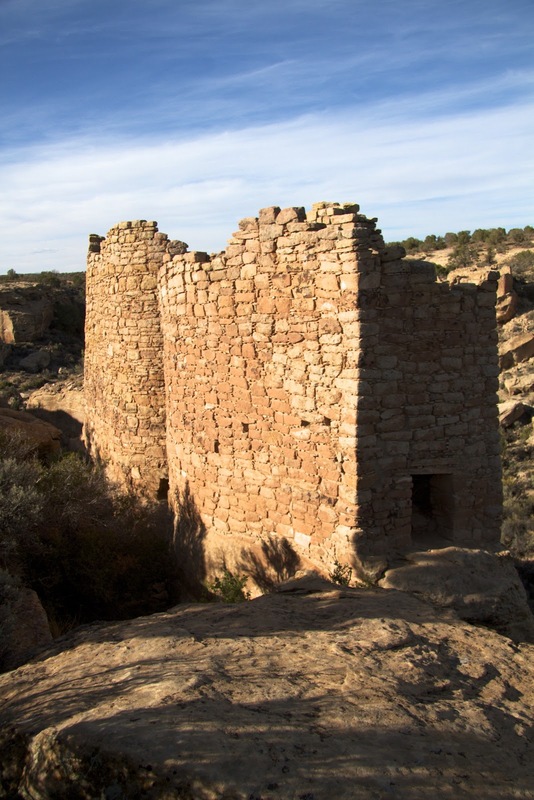 Some of the more intriguing structures are: the Square Tower (a three story structure built on top of a large boulder at the head of the canyon) Boulder House (a structure actually inside of a boulder down in the canyon) and the Hovenweep Castle (at the top edge of the canyon.) Estimates place the population here at around five hundred. 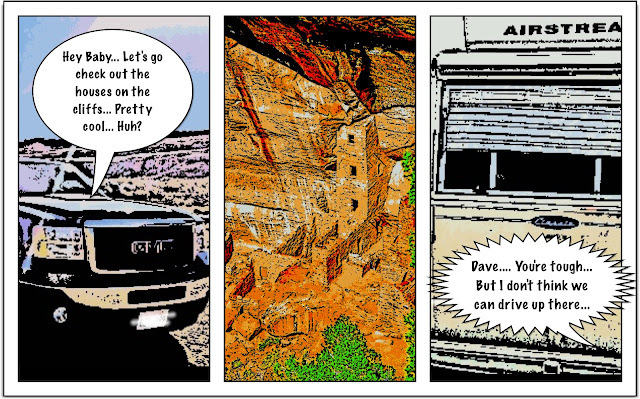 Visiting the other ruins involves 4WD, fortunately Dave is up to the challenge! The road to Cutthroat Castle passes through the Canyon of the Ancients National Monument and we stop to check out the painted hand in one of the ruins. (An unexpected surprise!) Cutthroat Castle is impressive as are Holly, Horseshoe and Hackberry. There is a fine level of craftsmanship in these structures and another five to seven hundred ancients called these home. 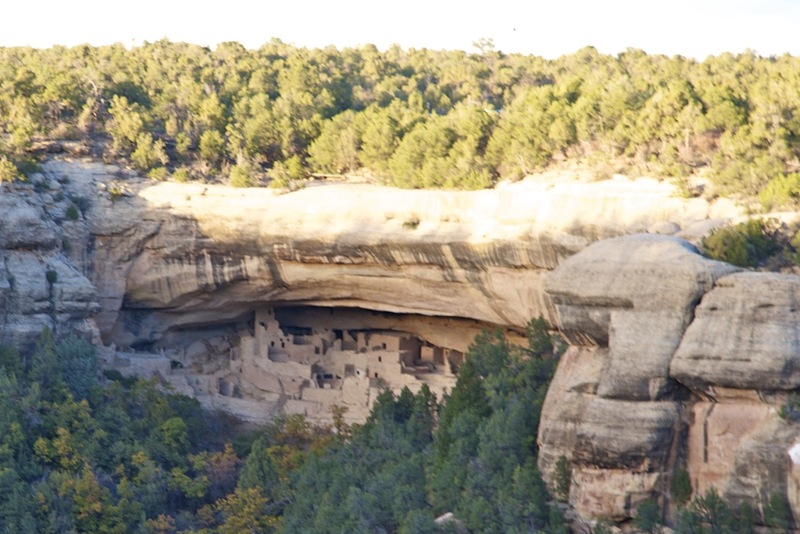 Next we’re off to Mesa Verde National Park. It’s a short fifty-mile drive and we score a full hook-up campsite in the park. We can stay only 3 days as the campground is closing for the season. 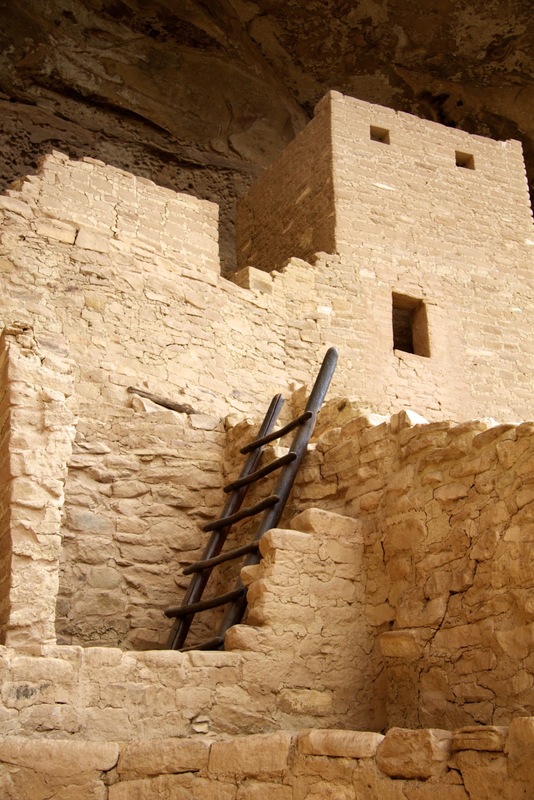 Mesa Verde is known for the elaborate cliff dwellings that supported a population of approximately 30,000 people. (To put things in perspective, his is 3X the size of the current population of the area.) Here we book two ranger-guided tours of the Balcony House and the Cliff Palace. Both of these tours involve climbing up steep ladders and crawling through tunnels. 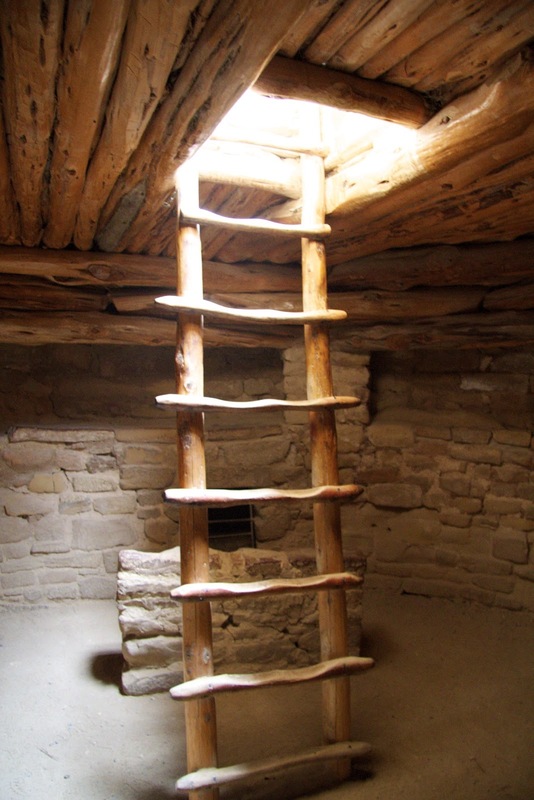 One of our favorite sites is the Spruce Tree House. Here we can explore on our own. There are a couple of rangers on site to answer questions and keep folks off the walls. The highlight is climbing down into a kiva, which is surprisingly warm considering the cool temps outside. 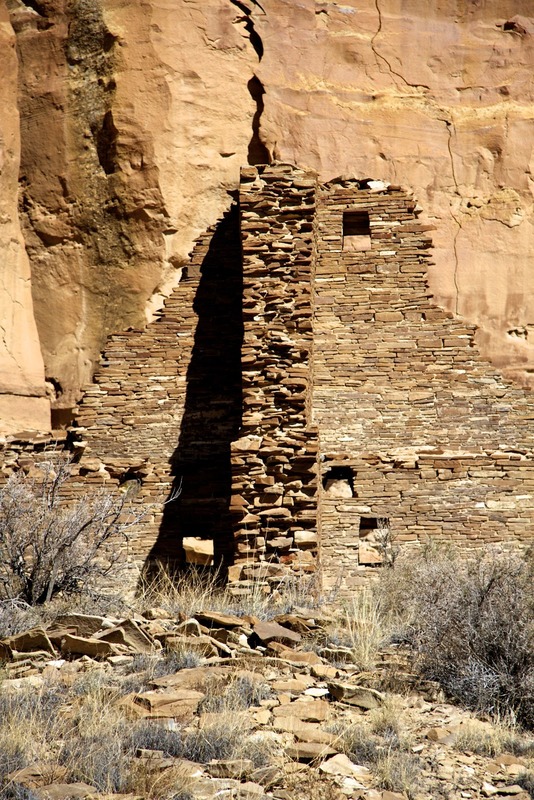 All of these structures were built in the last years of the Ancestral Puebloan occupation and deserted shortly thereafter. There is a lot of speculation as to why these people, after completing these structures, left and migrated south. The best answer we hear is, “Because it was time."